Blog about a topic that you are passionate about is one of the most frequently repeated advice for new bloggers from the veteran ones. I have believed in it for quite sometime myself. Unfortunately, I have come to realize that it is not true. It is possible to blog about a topic that makes you fall asleep and make tons of money from it. I am aware that the above statement of mine is enough for most of you to blast me in the comments section. Here is a link to a blog that sold for more than 32,000 USD after four months of being setup. That means the blogger earned more than 8,000 USD per month from the blog. You will think that the blogger was passionate about the topic and hence managed to get tons of link from quality sites. Nothing of that sort. A simple backlink analysis of the blog will show that all the links consist of links from article directory sites and his own blogs. Hang around Flippa for some more time and you shall realize that there is a large number of people who manage to do the same. My first reaction was there something that I do not know. To find an answer to that question I started a blog about free CNA training to see if it will be possible for me to replicate the success. Writing a single post about CNA training literally, puts me to sleep. In spite of that, I have persevered. I have not hit the success level of the above-mentioned blog, but it already earns more than my main blog. Trust me when I say making money from obscure topics is a lot easier that what you think simply because there are too people competing on those topics. Read 5 websites to sell and buy websites and blogs. Why do so many people advise to blog with passion? Because it is easy. I can write about blogging/SEO and feel great about it. I have to watch a movie after writing a post about CNA training. Most successful bloggers write about topics that they are passionate about: No amount of SEO or keyword research can create the Techcrunch or devils’ workshop of the world. If you want your blog to be in the Technorati top 100, then a blog about CNA is not for you. On the other hand I am confident of hitting 100$ a day mark with this blog in another three months time. It is perfectly OK if you want to blog only because you want to make money. It is possible to make money and make loads of them by blogging about a topic that you hate. But it is not easy. As I said above, you will not enjoy writing the posts; you will not get recognition. No one is going to respect you for having the highest ranked blog about free CNA training. Blogging without passion is for people passionate about making money. The only thing that will keep you going is the earnings in your AdSense account. That is precisely the reason why I am not going into how to be successful while blogging without passion in this post. Please let me know in the comments if you are interested in making money online. I write about red cross cna training , a topic that I have zilch interest in to see if it is possible to make money by blogging without passion. Actually I mentioned something about this in a post I made recently. It is my belief that if you don’t care about the subject then most of us will struggle to keep posting. Sure, some disciplined people are probably capable of taking a detached professional approach to their work, many people do this daily in their 9-5 day job. But when we are starting out I think most of us get going by posting in our spare time and this means that blog updating is competing with other leisure activities. If you aren’t enjoying the website building then I fear something else will quickly take over, eespecially when it is rate (although not impossible) to get instant rewards. Please go down that page and see the google analytcis document. Adsense data is available there and you can see that the seller was already making 3000$ a month. I agree with you. However there are people for whom the money may be the means to be able to do what they want. In my case I want to start my own company and some blogs like this will help me to build up the cash reserve that will allow me to leave my day job. Something strange 🙂 I went through that CNA site, its nothing special apart from the fact that it is in a less competitive niche. Honestly I started blogging because I wanted to make some money but after sometime I realized I am enjoying blogging not by making money but by writing posts , receiving comments and sharing things. But I think If a person starts blogging he must think 1 or 2% about the money. If he is passionate about blogging then he will surely earn and if he is passionate about making money then maybe he will become passionate about blogging, though chances are very low. I am afraid this article will send bad signals to the new bloggers who constantly read SML for right ideas. 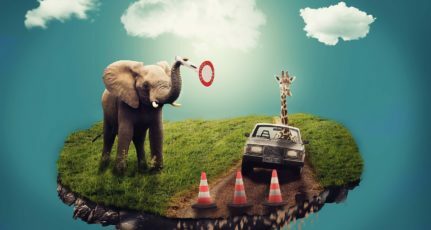 Yes, some people make money flipping blogs often but how many of them have actually managed to keep it going for a long time? Building blogs and flipping them for money is not so easy. You can take the example of the author of this article who is striving so hard to get some quality backlinks with a hope that his blog would get ranked higher with Google and he can flip it later for a good amount. But, where is the guarantee? what about the long term goal? How many blogs can someone build, get it rank #1 and Flip for a fortune? 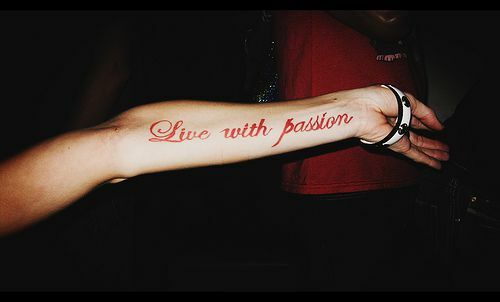 I thoroughly disagree and discourage this idea of Blogging without passion. I was equally surprised that a site like that sold for 30,000$ and that is how I started going through the details. I respect your views but I request you to read the last para of my post again. I have clearly stated that this approach is not easy and it will put off most of the people. It puts me to sleep. About your question regarding where is the guarantee, I think you will agree that very few things in life come with guarantee. 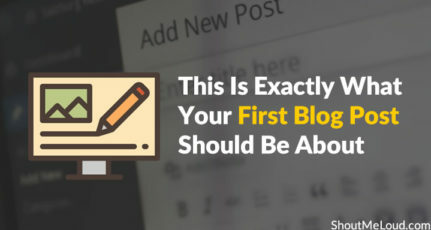 Yes one of the reasons why I write the guest posts is to get that tiny little backlink. At the same time I am expecting to refine my strategy by getting feedback from experienced people like you as well. I did read that last paragraph. My only concern is that there is a very high probability that newbies get a wrong message about blogging. I would have been happier if the disclaimer was put at the beginning rather than at the end. Experienced ones like you can know, understand and very well manage blog flipping but not the newbies. hu… i really don’t know how people can blog about the topic they don’t really know or like… but ya it’s needed to know… thanx for the information..